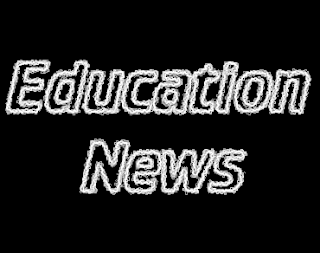 HAGERSTOWN, MD - According to sources, on March 26, 2016, Washington County Board of Education member Karen Harshman filed a peace order against local blogger Ryan Miner. Multiple people overheard Harshman threaten to file a restraining order against Miner during the local candidate forum on March 26th. Mr. Miner discussed with WashCo Chronicle's editor, confirmed that he believes the peace order filed on the 26th was filed by Harshman, and stated that he has made no threats against Mrs. Harshman, and does not feel the peace order has merit. Miner is aware that the order has been filed, but the order has not been served at the time of writing this article. Miner is currently consulting with his attorney, and could make no further statement. He did however, offer to forward to the editor any emails he has sent to Harshman. Contributor Note: This is a reprint of an existing article that was originally printed on the Liberty Chronicle Independent on March 17, 2016. Reprint is authorized by the original contributor, David Malekar. The following contribution is from Seattle-based independent journalist, David Malekar; who regularly publishes content to the WashCo Chronicle and other online publications. In 2014, Shawn Quinn took Maryland to a place previously unknown, in over 40 years. Along with his Lt. 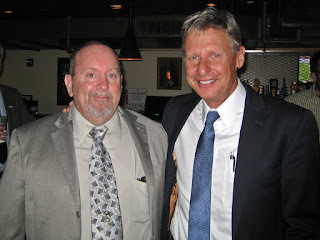 Governor candidate, he was able to get the highest third party vote within the state, in 44 years. The 2014 Governor candidate took a person-to-person approach with his campaign, to fight for the people. His motto is, "It's About People." It truly has been the focus from day one. Shawn had shown up for appointments and events all over the state. I would just like to put this out to everyone. We are working on a bus wrap with the Libertarian party on the sides. If you can find it in your hearts to help out we could sure use $10- $20 dollars from our Libertarian friends. We are trying to have it done so we can take it to the National Convention. We will also be using it for parades this summer and any events we can get to. It will show pride in our party and our State. You can mail a check to "Citizens for Quinn" at PO box 1154, Lusby, Maryland 20657 or go to www.citizen4quinn.org and hit donate button. Please write "bus wrap" on index line of check. If we all chip in a little we can get this done. Thank you for your consideration. Live free. Shawn is very optimistic with the road to 2018's, as he should be. The journey for liberty and the people of Maryland has only just begin. The following is a Press Release by Seattle based contributor, David Malekar; who regularly publishes content to the WashCo Chronicle. The statement release is by Michelle Darnell, candidate in Washington state's 48th Legislative District. Running as a Libertarian, she hopes to bring "justice, prosperity, responsibility, tolerance, cooperation, and peace" to the respective area. You may view more information at the website michelleforthehouse.com/ and contact her campaign from there. 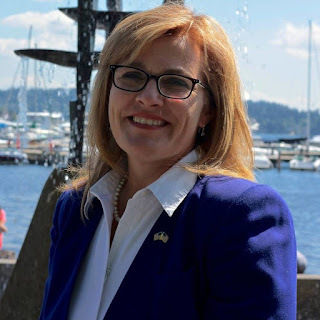 Michelle has issued the following statement regarding the end of non-judicial foreclosure in the state of Washington and connecting crisis of homelessness, and the repeal of the Deed of Trust Act. Decrease homelessness and End non-judicial foreclosure in our state! Homelessness is an increasing problem in our state and county. In the last two years we have seen a 40% cumulative increase in homelessness in King County, yet we have over 5k foreclosures at the moment and 0ver 2000 empty bank owned homes in the county. This is a problem that affects us all as we search our hearts and minds for solutions. No one wants to see veterans, children and the elderly on our street. No one wants to see their neighbors disappear one by one. No one enjoys living with the uncertainly of the housing market as it is manipulated by the banks. The “too big to fail” banks are pillaging our communities and it is time for that to STOP. Families around this state are being evicted from their homes needlessly; they are migrating to urban areas to look for homes and jobs. This is driving up rents. When the existing tenants can’t afford the new rents or first, last and a deposit, they are either on the street or on a couch. We can see the signs on every corner. We have 50,000 homeless kids in our state, yet empty homes dot the state like bodies on a battle field. What is the response? To build tent cities and provide mobile health services. Both are admirable attempt to band-aide a situation but do nothing to address the cause. The smart response is to identify the cause of the homeless crisis and work to eliminate one of the root causes. Foreclosure is a quick path to homelessness. This is why I have worked nearly 8 years to fight the foreclosure epidemic. I saw this homelessness crisis coming as I toured empty homes several years ago and listen to the tragic stories day in and day out. We have had over 640,000 families in this state evicted from their homes, about 80% of them, unnecessarily, because they should have been offered a modification. That is what the bailed out banks were supposed to do in return for tax payer money. But instead, the banks used the program to lure people in to default and then they foreclosed upon them. They are still doing to. We have a WA Foreclosure Fairness Act mediation program and spent $4 million last year to save 800 homes out of over 4000 referrals. That is a failure. Why is it failing? Because the banks just go through the motions and there is no way to stop them. We can see the There is a mountain of case law and evidence indicating the banks have been up to no good they are breaking laws with impunity. This is a root cause of homelessness in our communities. This is why I will work to end non-judicial foreclosure in our state by repealing the Deed of Trust Act. Washington State is home to non-judicial foreclosure. This means that a home may be repossessed and sold at auction by a third party “judicial substitute” called a trustee. This trustee is actually hired by the bank but is supposed to have a duty of good faith to the borrower and be unbiased like a judge. That doesn’t even make sense does it? Homeowners never get their day in court and it is easier to repossess a home than a car in this state! You don’t even have to prove owners ship of the loan or how much is owed! (1) If a homeowner has cause to defend their property via a law suit, and the majority do, they MUST pay a bond equivalent to their mortgage payment each month to the court for the duration of the law suit. (2)The homeowner is the plaintiff bringing the action so the burden of proof is on them. (3) IF they lose, they must pay the banks attorney fees too, so filing a lawsuit is a very risky proposition. When elected I will work to end non-judicial foreclosure in our state. I will stand up against the banking lobby and defend homeowners against the abuses they have been suffering for years. I will work to restore justice and liberty in our state. I will introduce a bill to repeal the Deed of Trust act. Please join me in this effort at michelleforthehouse.com.